Finally moved our Sales Dashboard into Hubspot! 20 MQLs this week to date, vs 13 last week, and goal of 30. We are pivoting the targeting on this channel to be exclusively salespeople and recruiters, since those are our strongest clients to date, and the most willing to pay in order to get new leads. 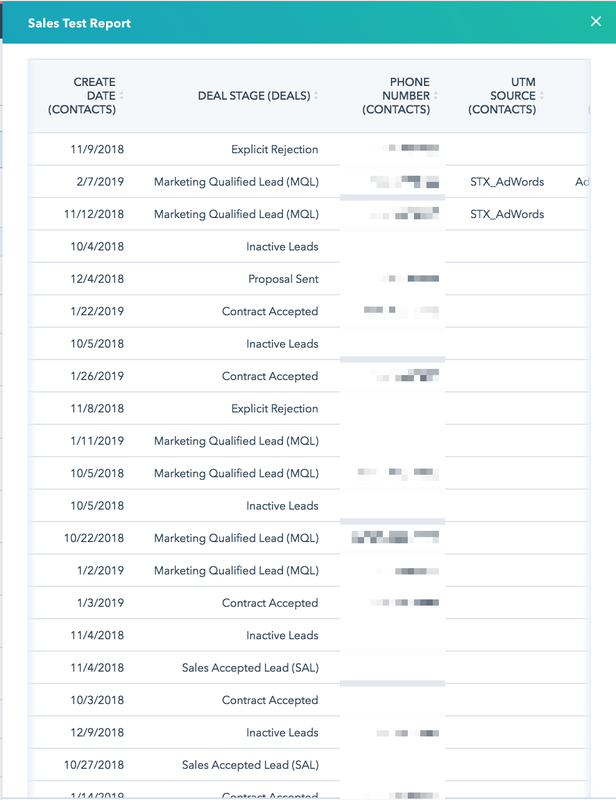 Here the the /sales and /recruiting landing pages we made for that — offering guaranteed results for a higher monthly fee (which is new for us) but given what we’ve seen to date, its something we’re confident promising. I took over the messaging here from our sales agent Nabeel, to better suss out why we have so many MQLs here but so few conversions. I think it has to do with our targeting copy. T minus 15 days until the new domains are warm — proceeding on track. We scoped plans for a more integrated campaign here that emails first, then sends a social message if not response, and then pixels them for a retargeting ad campaign. It’s doable! Essentially it combines all 3 of the channels we already use, into one vertically integrated channel that hits prospects from multiple directions in order. We got this idea from Joshua Fechter’s BAMF bible. Biweekly Partner referral sessions initiated, with documentation and process improving each week. Every partner owes us at least one MQL per week — if we can hold them to that then that’s 30 MQLs each. 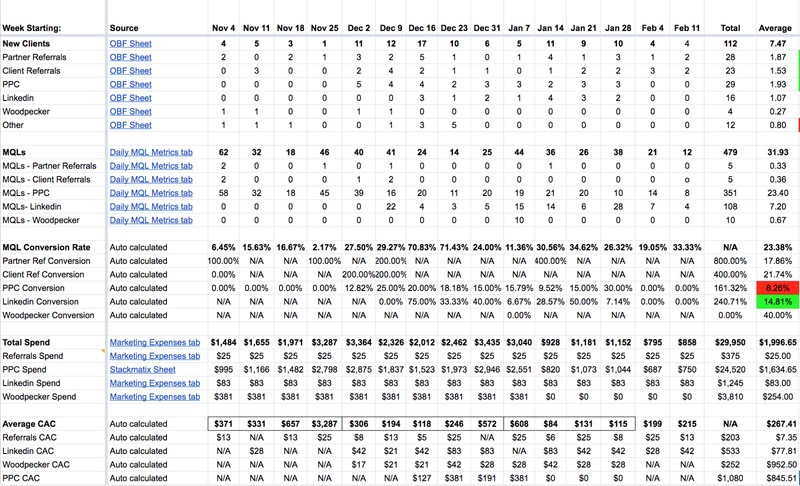 Finally moved our Sales tracking sheet into Hubspot! Less manual data entry, more flexibility with the end data, and more automatic input. Hubspot has it’s own intricacies, like not supporting Report views outside of this tiny sidepanel, but they’re better problems to have than trying to make many different sheets play nice with each other. We switched our keyword bids from ‘virtual assistant’ to match our new focus on sales and recruiting keywords, and will see how that turns out. The goal here is merely to print more of our best clients. Having 2 sources of new client attribution data (self reported, and onboarding agent reported) leads to data reporting headaches that are solved only with manual data audit slogging. If it was all one field in Hubspot, there’d be less confusion, but give how hard it was to get the Sales Dashboard in there, moving the entire Client Index is going to be even harder. Finding and writing more than 1 Upwork proposal that fits our criteria every 5 minutes is proving to be impossible!